The Brazilian economy expanded 0.8% in the second quarter over the first quarter reported Wednesday, September 12,Â the IBGE (Brazilian Institute of Geography and Statistics). And there was a 5.4% increase over the same period a year ago. However market analysts were expecting a 1.2% expansion over the first quarter and 5.8% over the second quarter of 2006. But the Economic Research Center from the powerful São Paulo State Federation of Industries, FIESP, said that the second quarter GDP figures coincide with the level of activity of the manufacturing industry, which was released last week. "The GDP statistics came as no surprise, it was rather a confirmation of the good performance the Brazilian economy is undergoing", said Paulo Francini, head of the FIESP Research Center. Francini estimated that South America's largest economy would end 2007 with a 5% expansion which is in line with the activity of the manufacturing industry. The Brazilian economy so far has proven to be resilient to the US housing crisis and global credit re-pricing and has been recommended by investment banks as a safe and profitable haven for investors. Brazilian president Luiz Inácio Lula da Silva currently on a European tour said that Brazil can sail through current turbulences without major setbacks because "our fundamentals have never been so strong", and "international reserves stand at US$ 160 billion." Nevertheless Lula blamed much of the current global instability to US financial policy "which allowed investment funds, hedge funds to purchase high risk papers and resell them acting as if they were in a casino. And they lost, and we're not prepared to tolerate that developing countries should pick up the bill of a gamble in which we did not participate." Lula insisted it is the US government responsibility to address the sub prime mortgage crisis, "because they helped the creation and growth of those financial instruments and unregulated identities that have led to the current situation" and called on the Central banks of the industrialized world to act accordingly ensuring the crisis does not spill to the developing world. Well, I guess a “casino mentality” is better than no mentality. From Jean to Jackpot, there are few fools in the casino business. For some unknown reason the original picture was replaces with another. I did save the picture since I tjhought it was just hilarious,though I am unable to paste it in this thread for some technical reasons. The news item and the picture gave the impression that he was making the statement under the influence of Ethanol!! I was just sarcastic. Seriously talking, if the U.S. enters into a recession, it is going to drag the rest of the world,including Brazil, along with it. We have seen this movie before. No point in pretending otherwise. Am I missing something? Glad youÀ‚´re proud. But what would be an alternative to suffering along with the rest of the world if the US enters a ressession? Can one legislate out of it? Declare it invalid? Say “NÀƒ£o doeu”? He must have just gotten off the phone with Chavez. There is nothing that Brasil needs more for development than a fully functioning mortgage market capable of funding the marginal home buyer. I saw the President give that speech on TV and wondered, what are the alternatives to “tolerating” the situation that he has at his disposal? 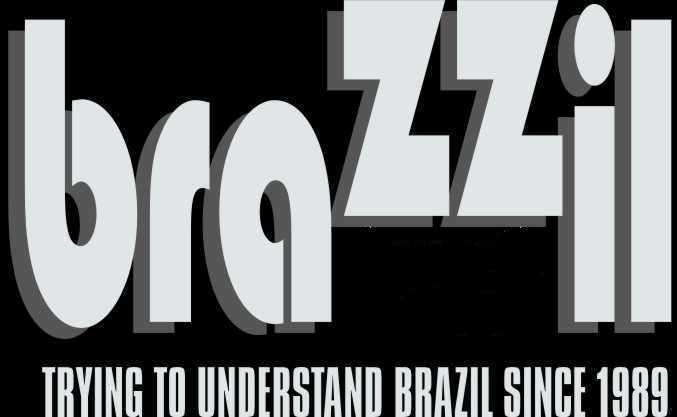 Blame the americans, thats what brazilia politicians always do…..fundamentals never been so good? hmmm, what planet are you on? Brazilian Emigrants Send US$ 6.4 billion Back Home. Only Mexicans Send More.